The tournament was established to raise funds for the Joseph Manzi Foundation. 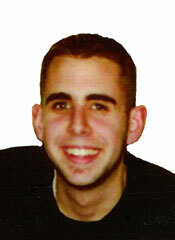 Joe, a 1998 graduate of Berlin High School, was killed in a snowmobile accident in December of 2002. He was an avid musician and a member of the Berlin Volunteer Fire Department. The Foundation also donates supplies to the Berlin Volunteer Fire Department. It keeps Joe’s memory alive, and in doing so, is helping other people.